On Wednesday, May 31st, police officers Norman Coye and Darnell Madrill, charged for the shooting at Central Park, faced their first court session at the San Pedro Magistrate Court. Their case was briefly reviewed, but due to incomplete reports from the prosecutor, it was adjourned to Thursday, June 22nd, for a full disclosure of their case. 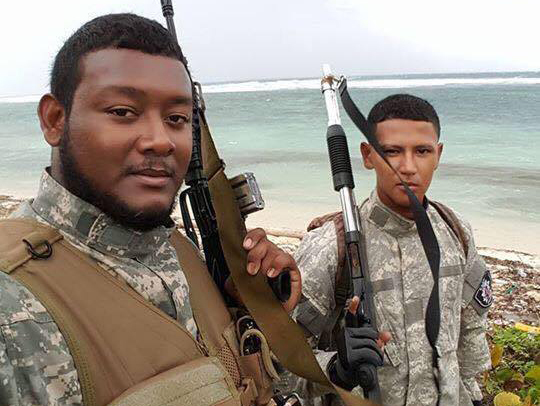 Both Coye and Madrill have been accused of being involved in the April 1st shooting incident in Central Park, which left five persons injured from bullet fragments. According to eye-witnesses, the officers used excessive force in their attempts to part a fight that started inside the popular Daddy Rock night club. Video footage shared on social media show that around 4AM, Madrill was beating a woman who was already handcuffed. As onlookers tried to help the woman, the situation escalated to the point where Coye began firing his 9mm pistol, unloading up to 15 rounds in the air and on the ground, in an attempt to disperse the crowd. As a result, bystanders received injuries in the foot and one in the eye. A day later, they were formally charged for wounding, and on Tuesday, April 4th were arraigned at the San Pedro’s Magistrate Court and later released on bail. The duo has since been placed on interdiction until the matter is resolved. The incident caused much outrage across the island, especially those who were directly affected. Those who have recovered from their injuries are asking for justice and for police to be more disciplined. They believe that in some way, the police should have never acted the way they did, and their medical expenses should have been covered by the Police Department or the officers involved. According to them, such actions by police officers only threatened the lives and peace of the island residents. During the court session on Wednesday, no witnesses or victims were present. Coye and Madrill could face up to seven years in jail if found guilty of their offenses.